Honor View 20 brings the 2019 trend of Punch Hole Display in India by launching their Honor Flagship to complete with OnePlus 6T. 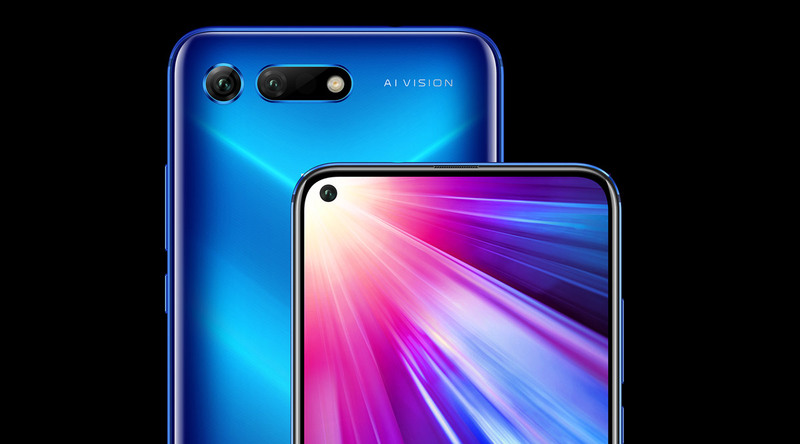 After a long wait, the Honor View 20 has finally been launched in India weeks after its global debut and the Honor View 20 includes the 48-megapixel + TOF 3D dual rear cameras and punch-hole display which houses the 25-megapixel AI front camera, it is also powered by in-house HiSilicon Kirin 980 7nm octa-core processor coupled with GPU Turbo 2.0 and NINE liquid cooling technology. The Honor View 20 price in India starts at Rs 37,999 for the entry-level variant with 6GB + 128GB configuration. The higher-end 8GB + 256GB variant will cost Rs 45,999 in India. The handset is already available for sale in the country via Amazon.in and Honor’s official website; there will also be offline sales for the handset will begin in February. 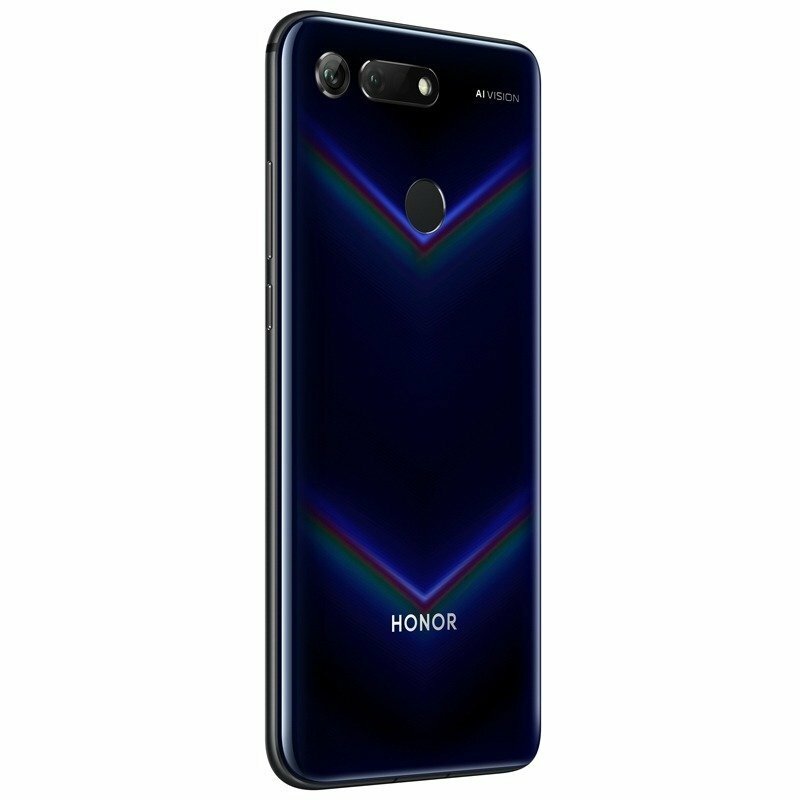 Honor View 20 Colors includes Midnight Black and Sapphire Blue color options. What makes Honor View 20 makes it different for every other smartphone is it’s Punched Hole Display as it comes with a 6.4-inch full-HD+ 19.5:9 aspect ratio IPS display, and it has a staggering 91.82 percent screen-to-body ratio. The Honor View 20 specification continues to impress with its high-end 7nm Kirin 980 chipset paired with dual NPU, GPU Turbo Technology 2.0, and liquid cooling. It also has 6GB and 8GB RAM with 128GB and 256GB of inbuilt storage options, No microSD card Support. The back of the smartphone features a unique Aurora Nanotexture pattern which enables a V-shaped when light reflects on the surface. The Honor View 20 also features a 3D ToF sensor on the back that improves depth details as well as allows 3D and AR-style apps support. The Honor View 20 Optics comes packed with a dual rear camera setup that boasts a 48-megapixel Sony IMX586 sensor along with an f/1.8 aperture, 960fps slow-motion video recording, autofocus, AI HDR, and an LED flash module. The secondary camera is powered by 3D ToF sensor. On the selfie side, we have a 25-megapixel camera sensor at the front along with an f/2.0 aperture and a fixed focus lens. For connectivity, the Honor View 20 has 4G VoLTE, Bluetooth v5.0, Wi-Fi 802.11 a/b/g/n/ac (dual-band, 2.4GHz and 5GHz), GPS/ A-GPS, and USB Type-C. It also features a dual-frequency GPS and triple-antenna Wi-Fi features. The View 20 packs a 4,000mAh battery with support for fast charging (4.5V/5A). A Smart Speaker With Built-in Alexa Support: Boat Stone 700 A is Here!